Are You Searching For A Secure Future? Making the transition from military to civilian life can be difficult without proper career training. Many times the skills that took years to acquire in the military do not have much application in the civilian world. As a result your ETS date can be a scary one. What happens next, how do I start making a living and providing for my family? Where do my veterans benefits come into play? Well the good news is you have some great options in the trucking industry. Transportation has always led the way to economic recovery in this country and the job opportunities have never been better. 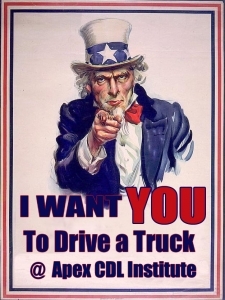 According to the American Trucking Association, there are expected to be over 175,000 truck driving jobs needed to be filled in the next 10 years alone. Trucking is secure, the job can never be sent overseas. Full time drivers get benefits, medical and life insurance, 401k’s, pension plans, vacation and sick time. The pay in trucking has never been better. Most of our students average starting pay is over $50,000 in just the first year. Home time options have never been better either. Most of our students choose jobs that have them home very day. Training is fast and jobs are plentiful….get to work now! 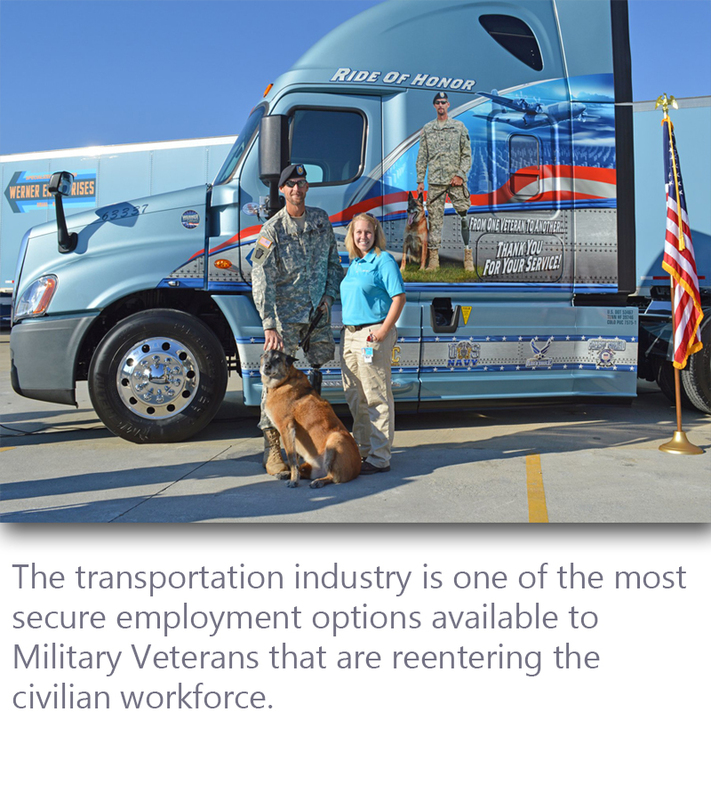 Apex CDL Institute is approved by the Department of Veterans Affairs to provide training to those students that qualify for VA funding, Veterans Benefits, and the 9/11 GI Bill (®). Apex CDL Institute leads the way in professional truck driver training. We maintain a state of the art facility and top of the line late model trucks. Our training has been recognized by some of the industries top trucking companies as among the best in the country. Our commitment to our students is second to none. State Certified as Licensed 3rd Party CDL Examiners. As Licensed CDL Examiners we can test students right here on campus from almost any state. Students that need qualified training can attend our course from anywhere in the country. We test you here upon completion of the program and you then return to your home state to pick up your new CDL license. Apex CDL Institute is approved as a Post Secondary Training facility by the Kansas Board of Regents. GI Bill® is a registered trademark of the U.S.